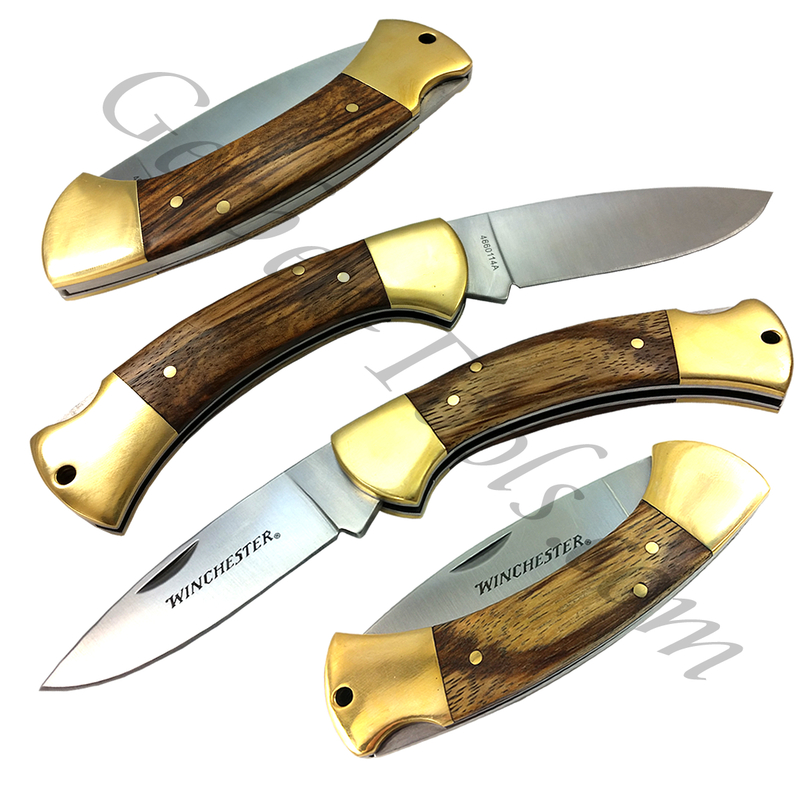 Winchester Zebra Wood Folder Pocket Knife 31-002655 is an excellent everyday carry. 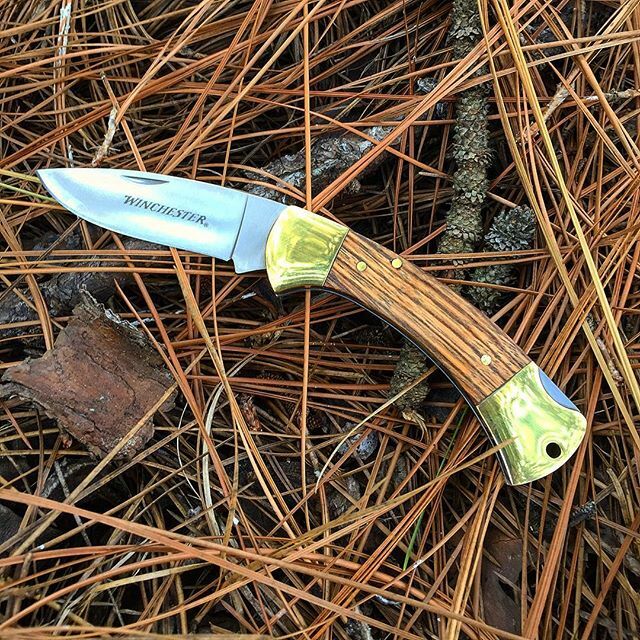 It has unique zebra wood and brass bolsters and pins on the handle. The handle has a gentle curve that allows your hand to grasp it fully. On the end is a lanyard hole. The blade is three inches long and is a stainless steel clip point blade. Lockback design and opens with the Nail Nick on end of handle.